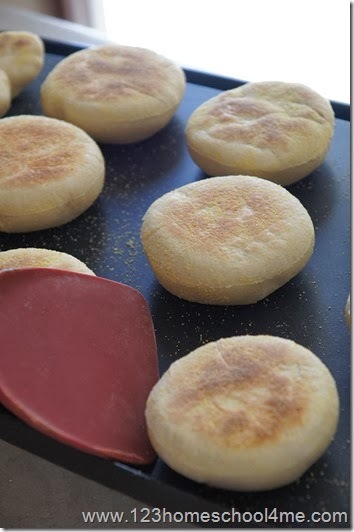 Here is a super easy-to-make English Muffin Recipe your family will love! About 6 months ago our family cut out most artificial nonsense for our diets. That means if we want bread – we make it ourselves. One thing I really had a hankering for was an English Muffin, but I was intimidated about making these from scratch. 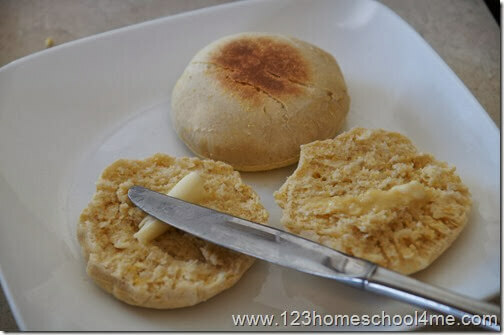 English Muffins are actually super easy to make from scratch using a bread machine! This is just one of all recipes I’ve shared on this blog of our family tested recipes! Into your bread machine add the following and set on “dough” cycle. Now that your bread machine has done all the work for you over the past 1 1/2 hour it is time to bake. 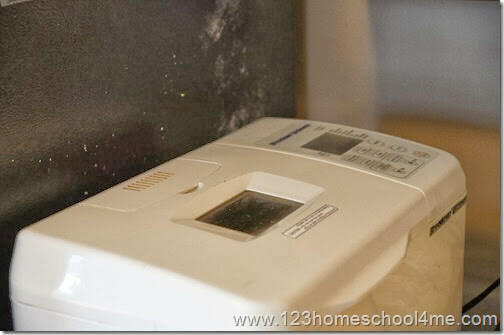 Sprinkle some cornmeal on your work surface (adding extra flower will make them less soft in the inside!) 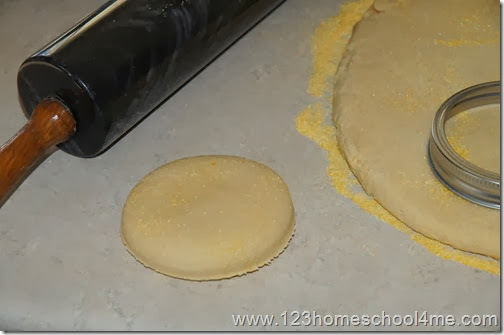 and roll out your dough, making sure it is about 1/2” thick. With a cookie cutter, glass, or a canning jar lid like we use cut out your English Muffins. On a griddle that has been preheated to 375 F, place your muffins and allow them to cook 10 minutes (they will get nice and golden brown). Now flip over the English Muffins and let them cook an additional 10 minutes. 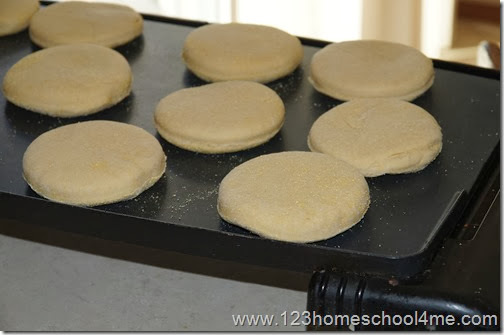 Allow your English Muffins to cool. The recipe makes about 12-15 muffins. Split them open with a fork and toast if desired. We like to eat them with some organic butter or homemade jam – Yum! Looking for complete family menus that do all the work from planning well rounded delicious menus to a weekly printable grocery list? Come grab the latest FREE Monthly Family Meal Planner! 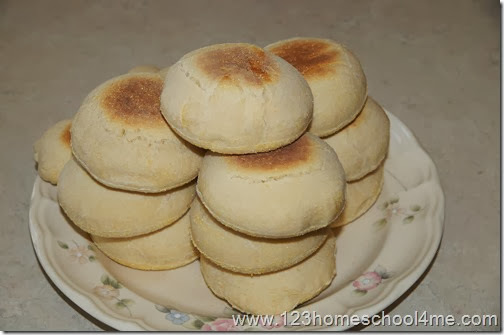 These super easy-to-make English Muffins taste way better than the store bought ones! On a griddle that has been preheated to 375 F, place your muffins and allow them to cook 10 minutes (they will get nice and golden brown). Flip over and cook another 10 minutes. Serve warm with butter or jam. Store in air tight container for up to 4 days. Sounds good! I’ll be trying these over the weekend. I’ll let you know how they work out.